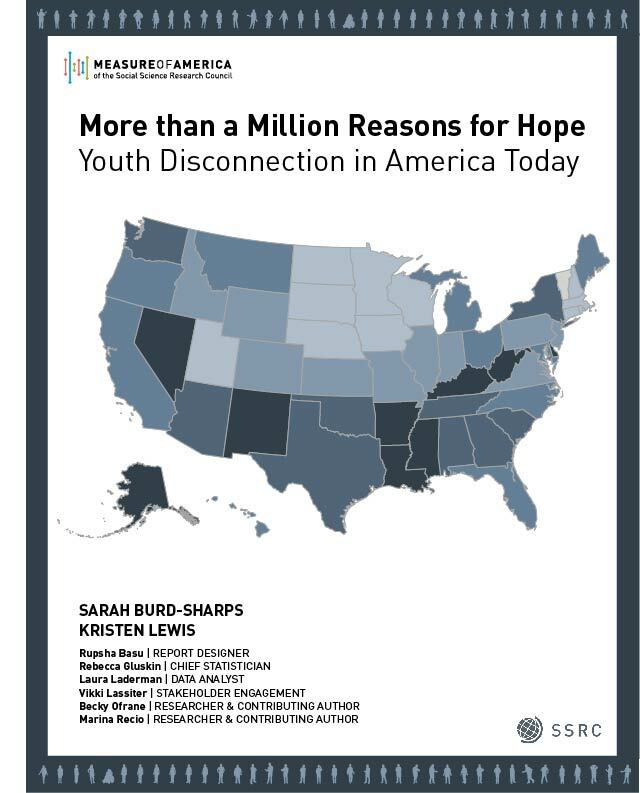 Click here to read brand new data on youth disconnection in congressional districts. Click here to listen to a recording of our interactive webinar on turning data into insights and action. • OVERALL. 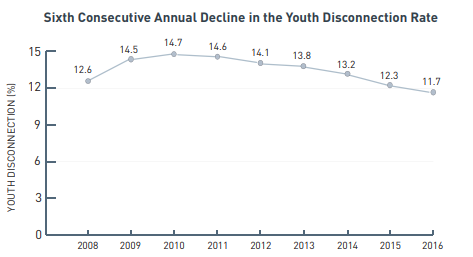 In 2016, 11.7 percent of young Americans were disconnected, an improvement from the 2015 rate of 12.3, and a 20 percent decrease from the 2010 peak rate of 14.7 percent. Yet 4.6 million young people remain out of work and out of school. For media and all other inquiries, contact Dewey Blanton: blanton@ssrc.org | (718) 517-3721.